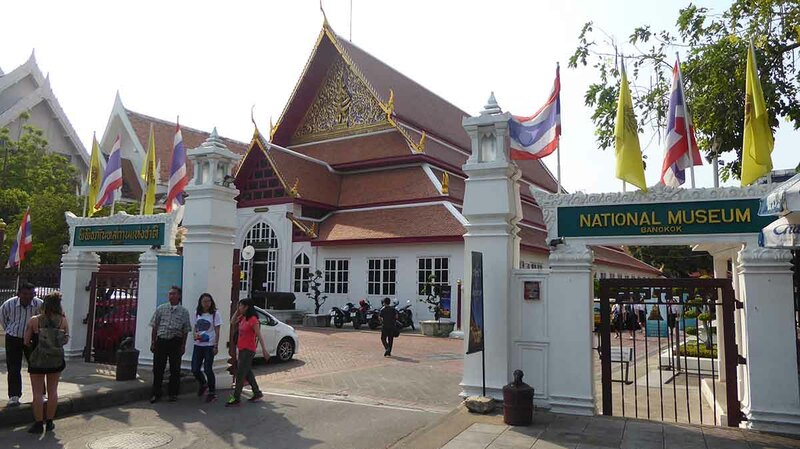 The National Museum Bangkok, established in 1874 in the reign of King Rama V. It is the largest museum in South East Asia. 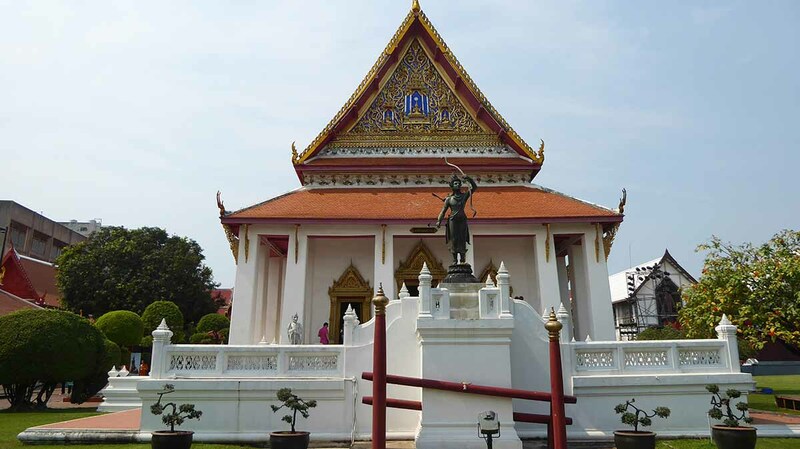 It consists of multiple buildings housing a massive collection of historical Thai artifacts. 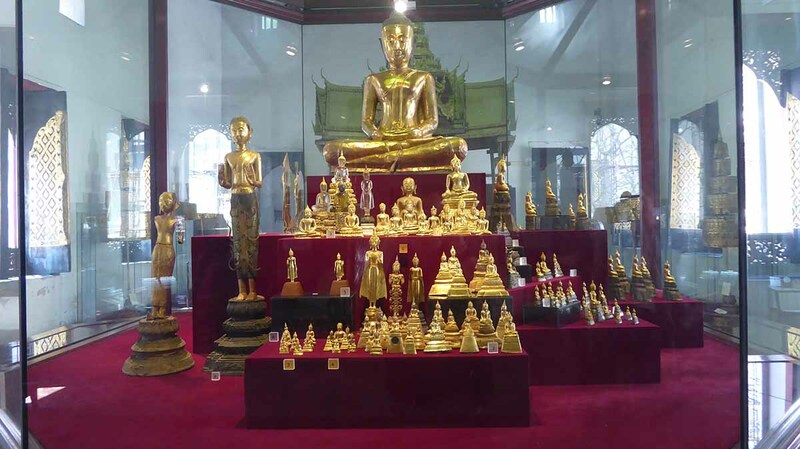 Exhibits date from Dvaravati, Srivijaya, to the Sukhothai and Ayutthaya period. 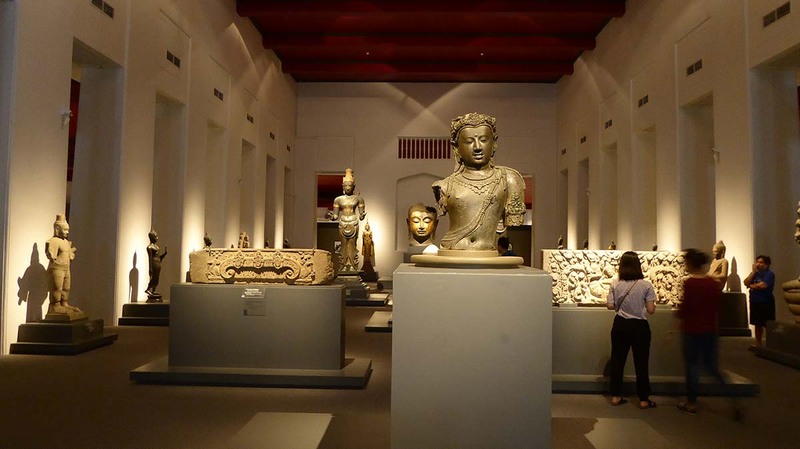 The museum also displays extensive collections of regional Asian Buddhist Art. 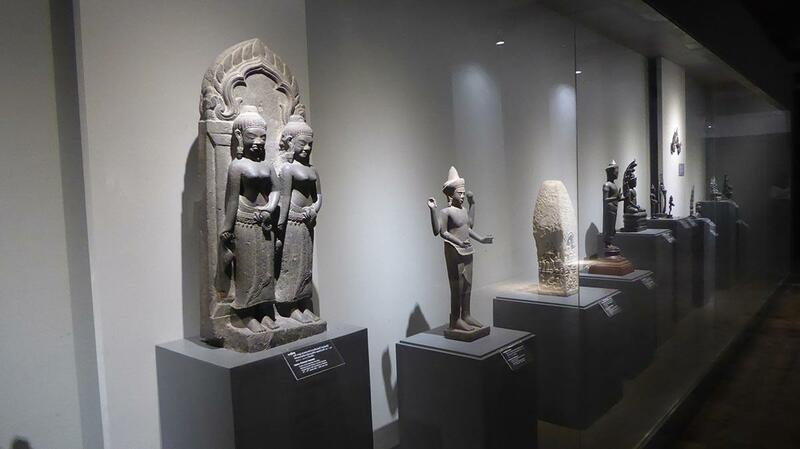 Indian Gandhara, Chinese Tang, Vietnamese Cham, Indonesian Java, and Cambodian Khmer. 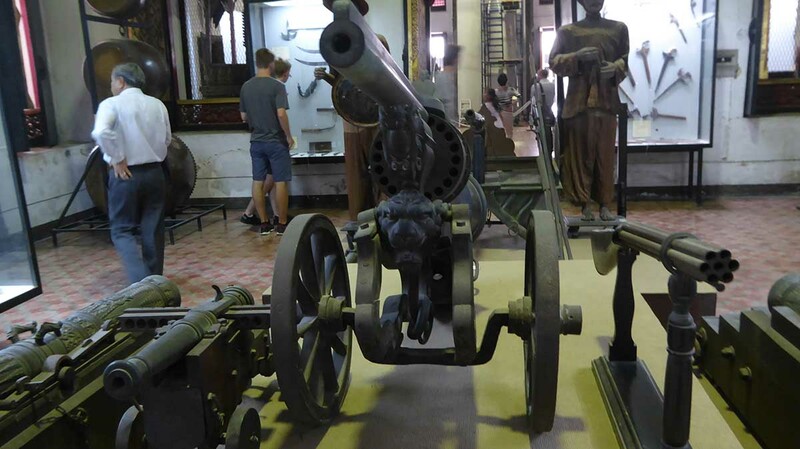 The museum is in the Rattanakosin district opposite Sanam Luang, a short walk from the Grand Palace. The ticket office is just inside the main gates to the left. There are three main exhibitions. 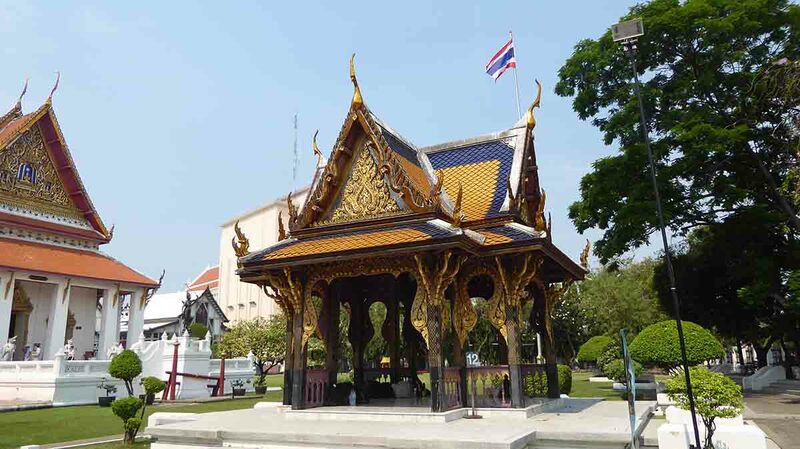 Firstly, Thai history, archaeological and art history. Secondly, decorative arts. Thirdly, ethnological history. 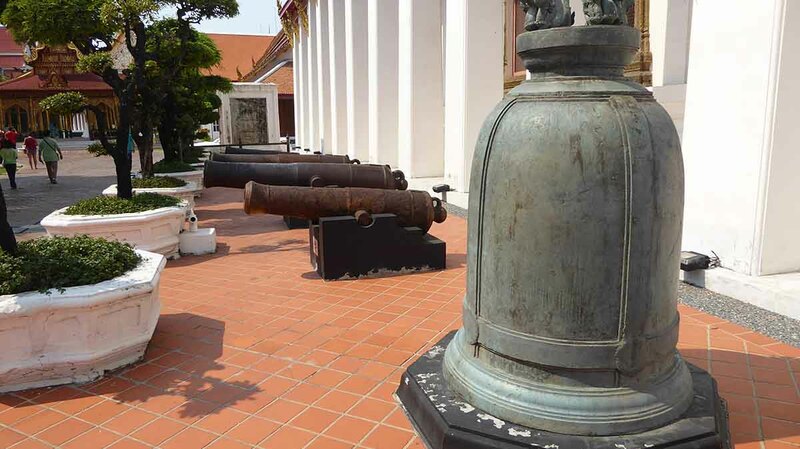 The Thai History Gallery at the front of the Siwamokhaphiman Hall provides an overview of Thai history spanning the Sukothai to Rattanakosin periods. 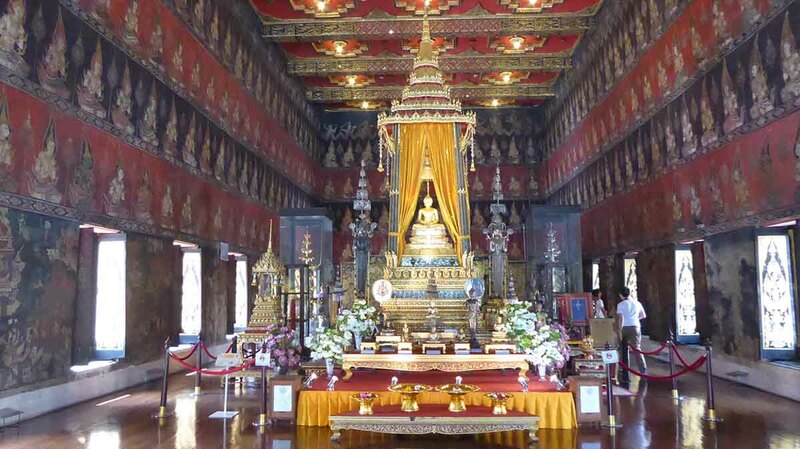 It features the famous King Ramkhamhaeng black stone Inscription which dates from the 12th century. The Archaeological and Art History collection is in the back of the Siwamokhaphiman Hall and in the North Wing Building. 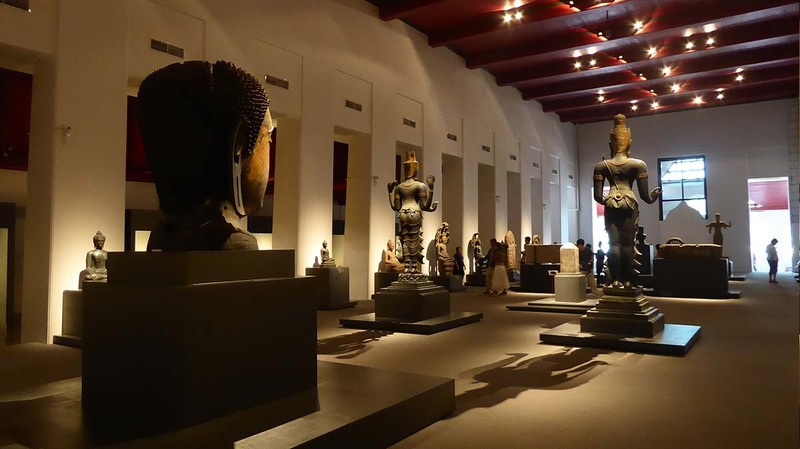 There are displays of historic sculptures and exhibits from the Dvaravati, Srivijaya and Lopburi periods. The date from before 1257 AD, up to the Bangkok period 1782. 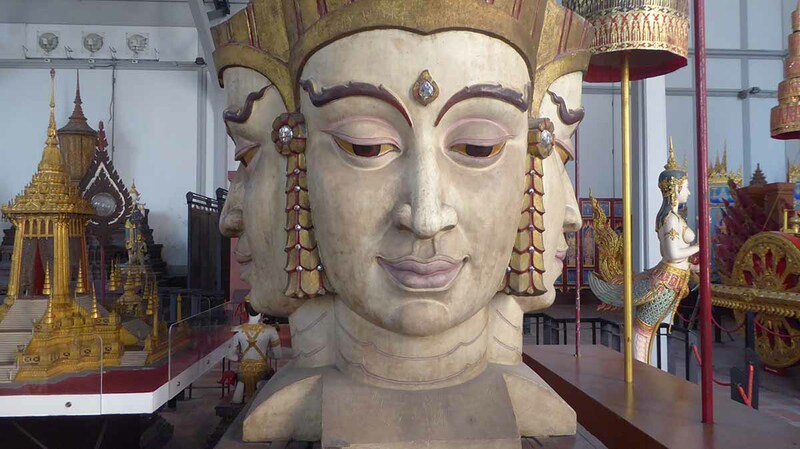 There are exhibits from all over Asia including one of the earliest statues of the Buddha from Gandhara. 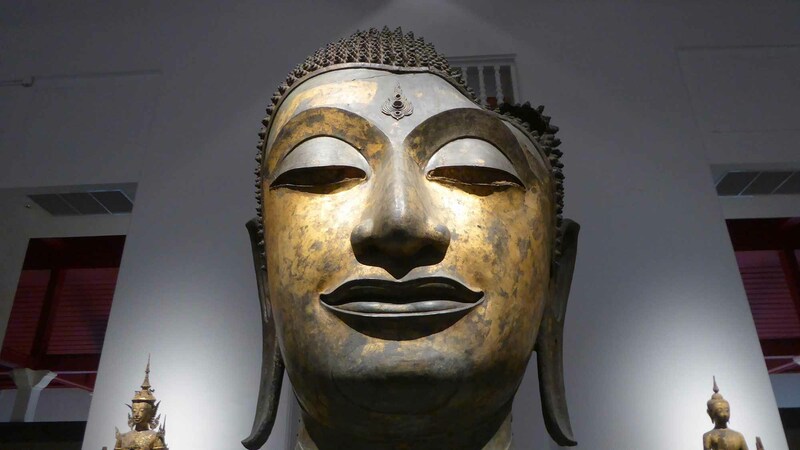 Also various Buddhist sculptures in stone, bronze, and terracotta. There is also an impressive Javanese statue of the elephant-headed Ganesh. The prehistory section displays artifacts from Ban Chiang, one of the earliest bronze age settlements ever discovered. Items on show include pottery, ax-heads, spear points, tools and bronze objects. The Decorative Arts and Ethnological collection is in the old central palace building and features Chinese weapons, gold treasures, precious stones, royal emblems, Costumes, Khon masks, puppets, ceramics, clothing and textiles, Carved Ivory, woodcarving, old weapons, old royal transportation and traditional musical instruments from around South East Asia. 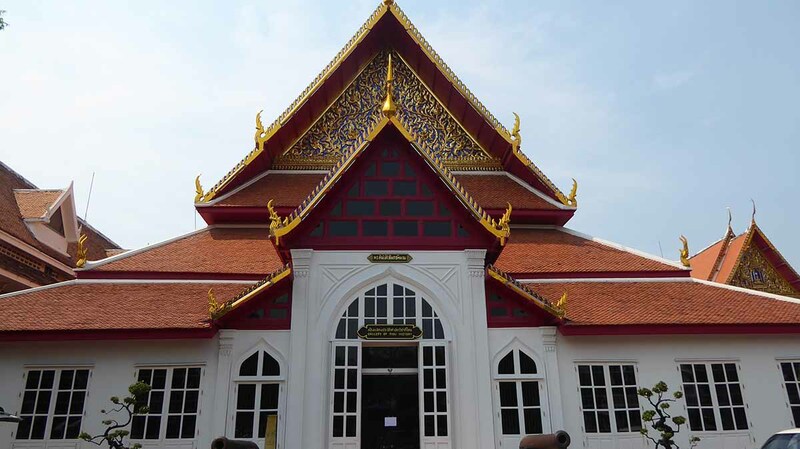 Also in the complex is the Buddhaisawan Chapel which houses the second-holiest Buddha in Thailand, PhraBuddhasihing. Inside the chapel, mural paintings depict scenes from the life of the Buddha. 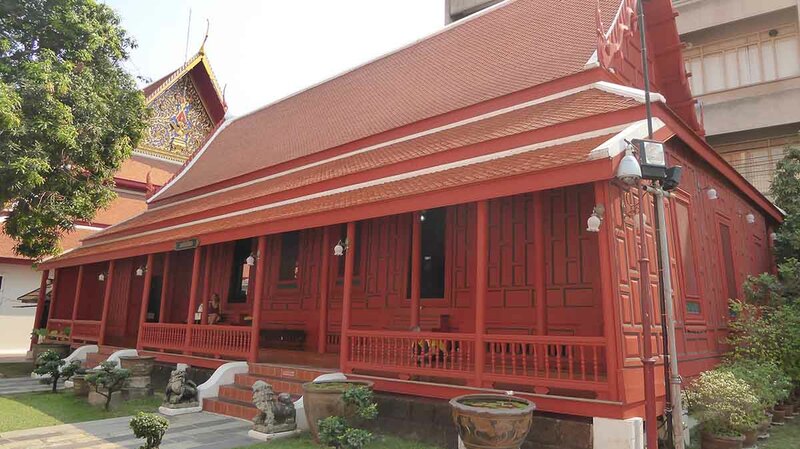 The Red House or Tamnak Daeng is an Ayutthaya period house made from golden teak. 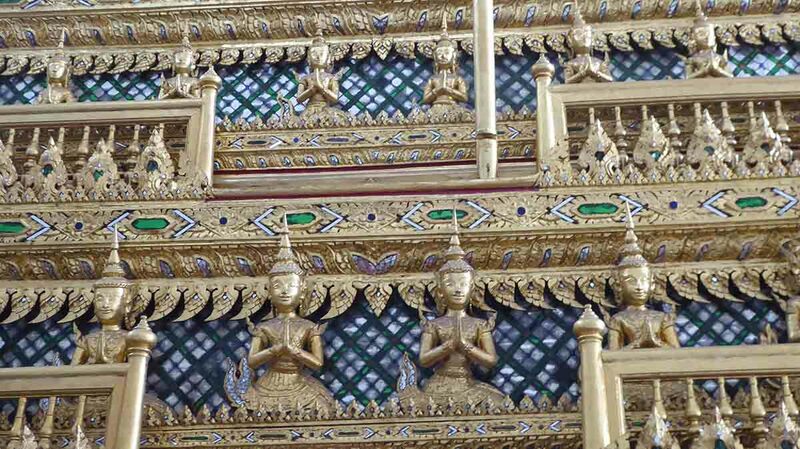 It features early Bangkok period style decor to illustrate Thai people’s lifestyle in the past. 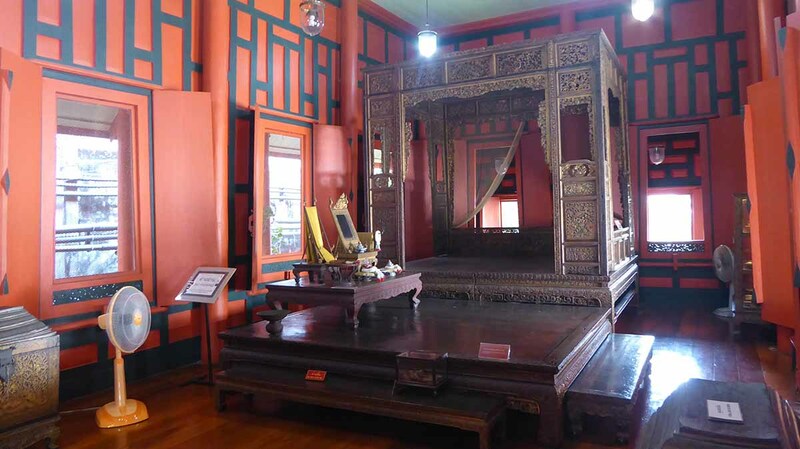 Some of the objects once belonged to Queen Sri Suriyen including a large beautifully carved bed. The house also has a rare indoor bathroom. 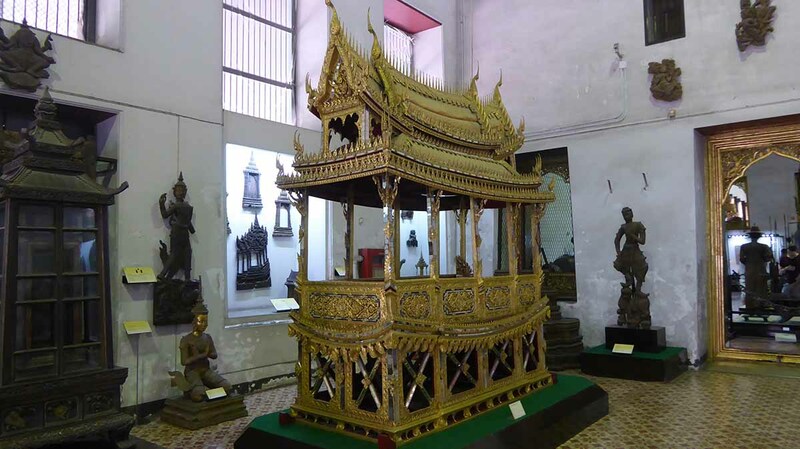 Next to the Northern building is the Funeral Chariot Hall featuring carriages used for royal cremation. 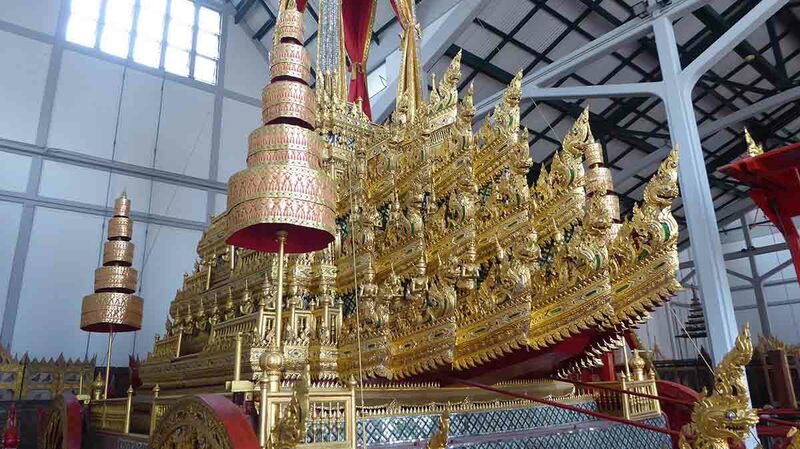 Most of the Chariots date from the reign of King Rama 1 between 1782-1809 and are made from teak. 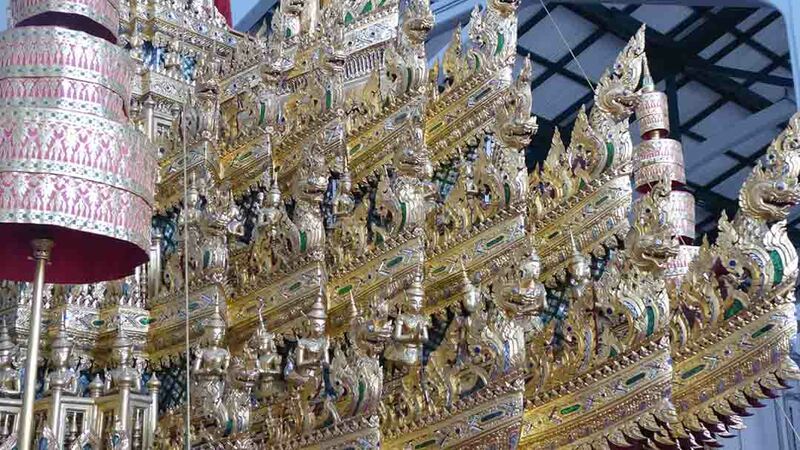 The highlight is the very large beautifully carved Grand Chariot of Victory built-in 1795. 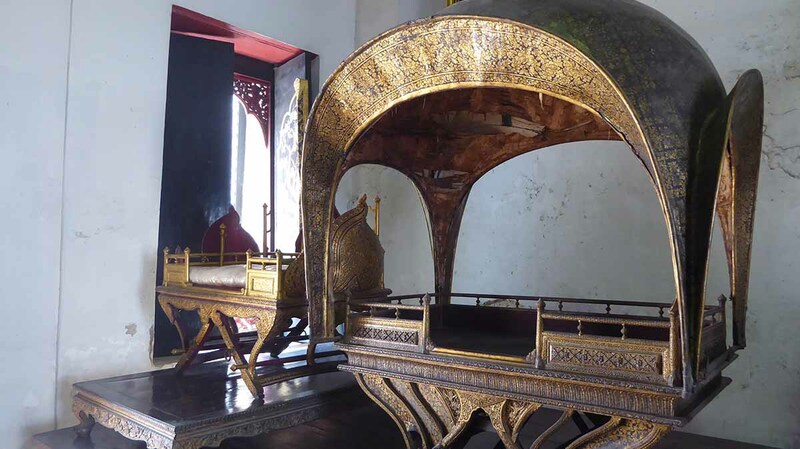 This chariot, used for the funeral of every King and Queen, carries the urn containing the body to the funeral pyre. The chariot weighs 20 tons and is hand pulled by soldiers. It takes 160 men to pull it from the front and 135 behind it to act as brakes. Free tours of the National Museum are available in English and French on Wednesday/Thursday. Also in Japanese on Wednesdays and German on Thursdays. Tours start at 09.30. There are a cafe and a souvenir shop next to the ticket office. When approaching, the museum beware of touts outside who will tell you that the museum, is closed. They are even there when the museum actually is closed. They will try to talk you into taking a cheap tuk-tuk tour which is a shopping trip to various dodgy gem stores.